By the time October rolls around, the haunting season is in full swing. Classic images of flapping bats, grinning ghouls, and clawing demons have stood as the poster-child for quintessential Halloween lore—but the local scene has an equally eerie canon. The Philippines is brimming with its own witches’ brew of spooky stories, and these have dribbled their way down to music, film, and most notably, literature. We list down a number of Philippine literary pieces that celebrate the morbid, the mystic, and the macabre. You may have already heard of this ongoing, dark fantasy comic series, and for good reason, too. The story follows the investigations of tough, quick-witted Alexandra Trese, a part-time bar owner, part-time occult detective who specializes in cases involving the supernatural. Think Buffy the Vampire Slayer set in grimy, corrupt underbelly of Manila. This award-winning crime series has been lauded for its advanced, structured storytelling and deliciously dry humor. 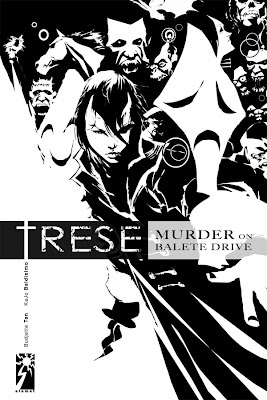 Debuting with its first book, “Murder on Balete Drive”, this horror series shines with its impressive world-building—an underworld riddled with local monstrosities with an eerily familiar political hierarchy—and its gritty, fast-paced art style. Renowned comic artist Manix Abrera, best known for his plucky, relatable Kikomachine series, presents us with 14, a ‘silent comic’, as the story is told with magnetizing visuals, sans text. The book features seven different stories, from a sentient feces to a terminally-ill old man; set in various sceneries, from haunted, white-lady-attracting waiting sheds to a lonesome, ghoul-infested cemetery. A story about stories, Abrera showcases a mishmash of Philippine folklore and culture, all presented with multi-layered, Gaiman-esque storytelling. 14 is brimming with kooky, puzzling narratives that are sure to keep you up at night. This grisly, carnal work of art puts the “graphic” in graphic novel. Tabi Po chronicles the story of Elias, an aswang who is born from the womb of a tree and ferally craves human flesh. Dating back to the Spanish Era, the novel also features delightfully surprising cameos from Jose Rizal’s Noli Me Tangere, which is a nice touch to the already-common folklore. Beautifully written in Filipino, and accompanied by messy yet sensual watercolors, the novel revolves around common themes such as religious fanaticism and egoism. While some may not consider Hagedorn’s historical novel a traditional horror piece, it merits a spot on the list for many reasons. Set in the Martial Law period, the novel retells the horrors of the Marcos dictatorship in a theatrical exposé of oppression, racism, classism, and justice. Perplexing and intense, Dogeaters is unapologetic in showing the slimier side of Philippine politics. The novel is an intertwining of various stories about families from polarizing backgrounds, and interlaces a jumble of choice events: a film festival, a pageant, and the assassination of a senator. 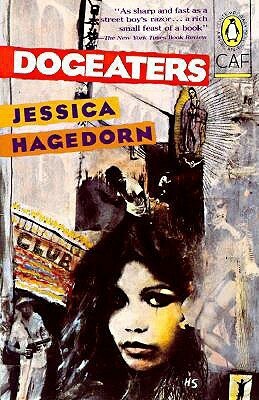 Hagedorn’s writing is bold, and her description of society is gripping—easy to devour, yet difficult to forget. Whether you’re into spine-chilling mysteries, or bone-raising thrillers, it’s not difficult to celebrate the hair-raising holiday with our country’s abundance in the genre. Happy, haunting reading!